You are here:Home Vocal Technique How important are breathing exercises? 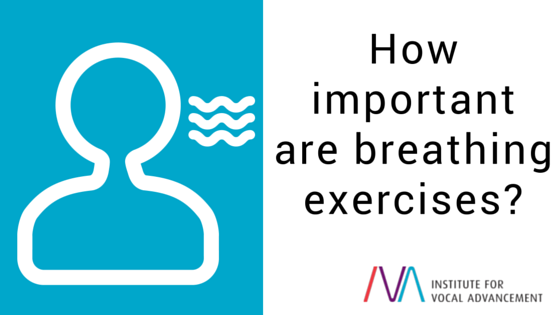 Have you had students ask you about breathing exercises and why—or if—they’re necessary? It’s a common question that comes up when we talk about teaching singing. Perhaps you as a teacher have wondered about the importance of breathing exercises. Since the beginning of the twentieth century, a large part of vocal pedagogy has centered around how the breathing mechanism taught by vocal instructors is the most important aspect of singing. Consider this old axiom by Gaspare Pacchierotti, a famous Italian singer in the late 1700s: “He who knows how to breathe and pronounce well, knows how to sing well.” Yet it only takes asking a few Yoga experts, masters of the art of breathing (and who may have little to no experience in singing), to sing a few bars of an opera to recognize that the logic of this statement is faulty, at best. Healthy singing technique requires a balance between these three primary aspects of the vocal apparatus: breathing, phonation, and resonance. Thinking of breathing alone as the support system of the singing voice doesn’t make sense when one considers that healthy singing is actually a symbiotic relationship between these three different aspects of the voice. Breathing, phonation, and resonance can be described as the “tripod of singing.” When you think about the function of a tripod, you know that it is supporting and balancing whatever it is holding. The same concept applies to these three aspects of the voice; they work together in harmony to support optimum singing technique. With this “tripod of singing” in place, the entire body becomes a support system, and the singing experience then becomes a type of athleticism. A person who works on so-called “breath control” in isolation can become extremely proficient at breathing. Yet singing requires the breath to be used as a part of phonation. Any breathing exercise that does not involve phonation can have very limited value to a singer. So are breathing exercises important when teaching singing? Yes! Breathing exercises are very important as part of your instruction as a teacher of singing, and this is because ALL singing exercises are also breathing exercises. Make sure your students understand that mastering breathing alone will not automatically turn them into the next Luciano Pavarotti or Joan Sutherland. We must teach breathing only as it relates to singing and in balance with phonation and resonance. After all, we are singing teachers—not merely breathing teachers. 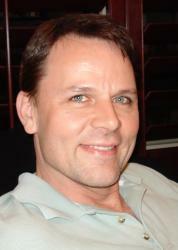 Guy Babusek is a certified Master Singing Teacher with the Institute for Vocal Advancement. Guy has been singing for over thirty years, and teaching singing for 17 years. His vocal studio in Orange County includes singers of opera, lieder, oratorio, popular music, musical theater, R&B, jazz, country, folk and rock music.